You are here: Home / Items / General Litigation, Labor & Employment, Municipal / Local Gov't / Katharine M. Fina, Esq. Katharine M. Fina, Esq. represents various municipal entities handling matters in relation to municipal law, construction & public contracting, labor and employment, and workers’ compensation. She also represents school districts in labor and negotiations and all other aspects of education law. 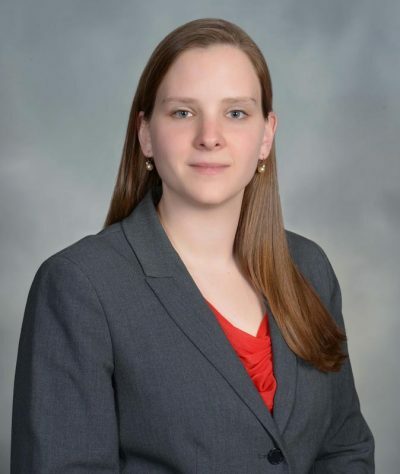 Katharine is experienced with local public contracting, state procurement, and Public Schools Contracting Law. She handles the drafting and reviewing of bid documents and contracts, reviewing bid challenges, and represents clients in construction/public contracts litigation. Her public client representation also includes representing employers and employees in the New Jersey Division of Workers’ Compensation.